No one should ever drink and drive. Thousands of collisions and injuries are caused by the practice each year, leading to heartbreak, legal issues, and even death. Unfortunately, DWI and DUI accidents happen every day in the LA, New York, Washington DC and United Kingdom areas, placing drivers and pedestrians at risk. Driving under the influence can lead to severe injury and damage to vehicles. Victims struck by drunken drivers often require immediate medical attention and could require months or years of further bills for treatment and rehabilitation. Couple this with challenging the driver and their insurance company (not to mention your own) and the victim could be in for the challenge of a lifetime. All of these factors mean that you need proper legal representation. There are many bills and forms that need to be handled that can overwhelm an already injured and distraught person. Many car accident lawyers specialize in personal injury and drinking and driving cases such as this. 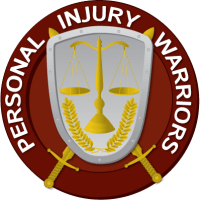 Our skilled attorneys have handled cases like this in the past, and are able to fight for the victim to make sure that they are able to get back on their feet again. Call us for more information about leading DWI accident attorneys. We take calls day or night and offer you the same assistance we’ve given to thousands of clients which we’ve collectively recovered millions for. Call one of us today for a free, no-pressure consultation.